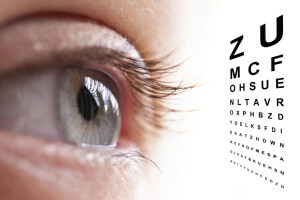 At Thie Optometrists, we offer a full comprehensive sight test. For adults we recomend this to be done every 2 years, for children 6 to 12 months in order to ensure healthy vision. Consultations usually take 30 minutes for adults and 15 to 30 minutes for children. Low vision, or partial sight from such conditions as Age Related Macular Degeneration, Glaucoma, Diabetic Eye Disease, cataract, and trauma. If you need any further information please feel free to call your local branch or contact us through our website. It’s easy to neglect your eyes because they rarely hurt when there’s a problem. Having an eye test won’t just tell you if you need new glasses or a change of prescription, it’s also an important eye health check. Book your test online today! Concerned about your childs or baby’s eyesight? Thie Optometrists are also qualified to examine children of any age – and is normally done for FREE under the NHS services we offer. Low vision is when a person’s sight can’t necessarily be corrected with glasses or contact lenses. 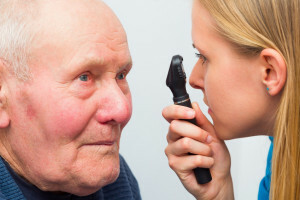 Low vision doesn’t develop just because of old age. Your vision can get worse as a result of cataracts, age-related macular degeneration or diabetic retinopathy. See how Thie Optometrists can assist you with Low Vision Assessments at our practice in Hemel Hempstead. To take high-resolution pictures inside the eye, we use a computer-integrated digital imaging system to record a detailed view of the retina. Since nothing touches the eye, photo-documentation is painless. This digital image provides an excellent reference point for future comparisons and also serves as a benchmark for comparison for subtle future changes, which may not be so obvious to detect otherwise. 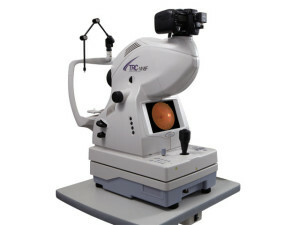 Retinal photography assists in the detection and management of problems such as diabetic changes, hypertensive retinopathy, macular degeneration, optic nerve disease, and retinal holes or thinning. 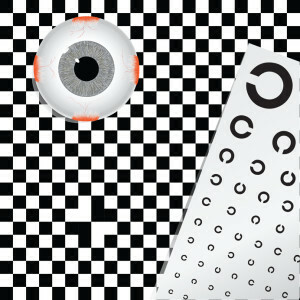 At Thie Optometrists, we recommend that all our patients receive this test. It is especially important for people with a history of high blood pressure, diabetes, retinal diseases, flashing lights, floaters, headaches, or a strong spectacles prescription. A lazy eye, also known as amblyopia, is a childhood condition that occurs when the vision in an eye does not develop properly. This usually means that the child can see less clearly out of one eye and relies more on the “good” eye. You may be entilted to a free sight test under the NHS. Listed below are the criteria for a Free Eye Examination. Are you entitled ? You may be eligible to partial help with your eye examination and /or spectacles, if you receive a low income. You will need to complete a HC1 form to apply, and these are available from Thie Optometrists and the Post Office. 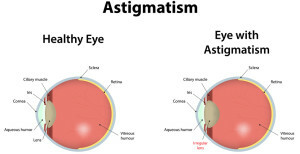 Astigmatism is a common and usually minor eye condition that causes blurred or distorted vision. It occurs when the cornea or lens isn’t a perfectly curved shape. 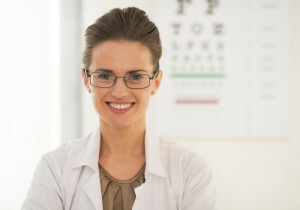 Many people who wear glasses have some degree of astigmatism. If you have astigmatism, it’s likely you’ll also have one of these conditions.